Sadie sleeps in Hudson’s room at night but still has all of her stuff in her bedroom. In order to make her feel like she still has a pretty room of her own, and as a reward for sleeping all night, I got her a pretty pink bed and some amazing and super fun accessories and toys! The look on her face when she saw all of her surprises was priceless! And of course little sister was pretty excited too! Because whatever is Sadie’s is Belle’s too. At least that’s how it works in this little sister’s life. She’s ALL ABOUT sharing fun stuff the big kids get! Look at that face! She was thrilled! 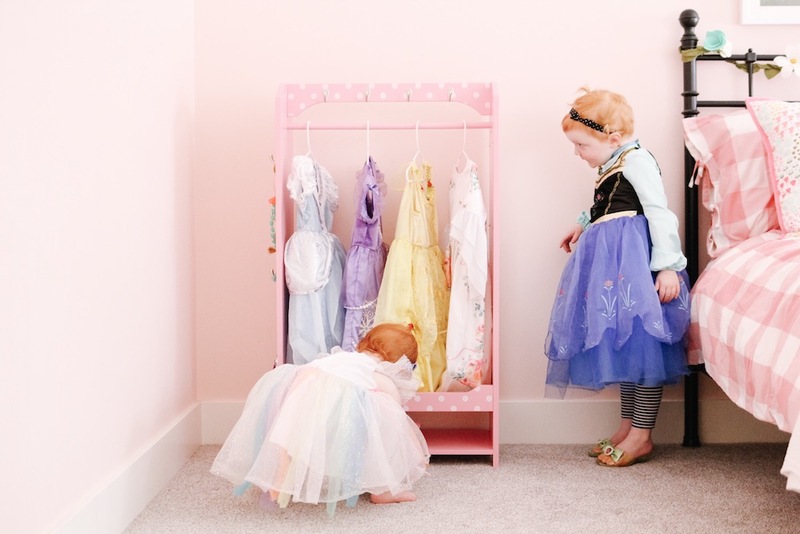 Both girls love playing dress-up, so they are thrilled to have all of their dresses, shoes, and accessories, out of the closet and displayed where they can see them. 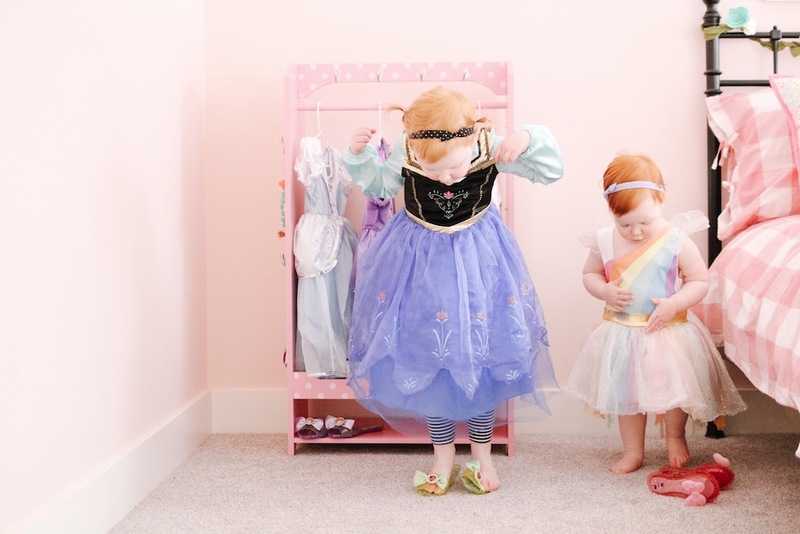 Sadie and Belle immediately put on some dresses and got to playing! 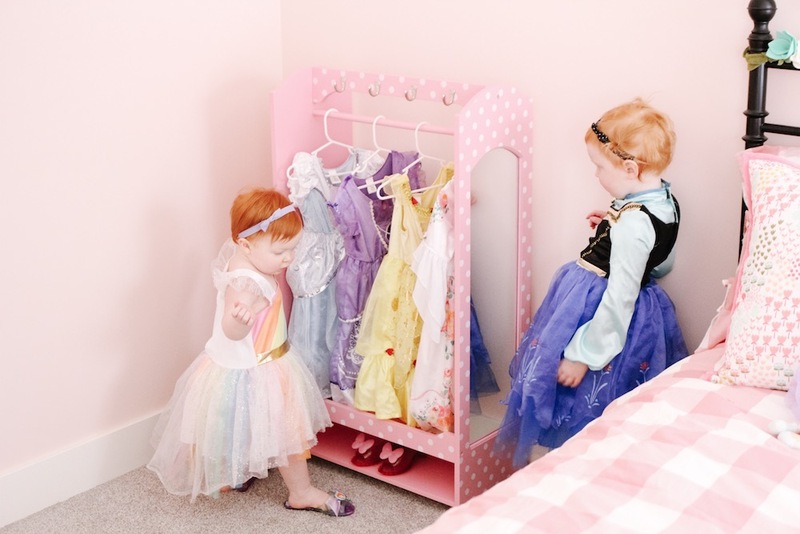 Sadie loves to check herself out in the mirror on the side, and Belle loved hanging necklaces and bracelets on the hooks on the opposite side. The excitement was contagious! The girls play so well together! Watching them play is my favorite thing! 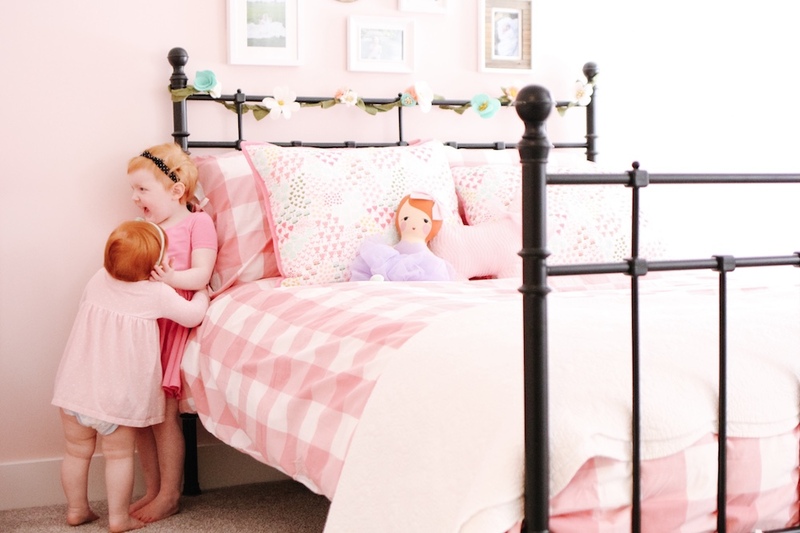 And I know they will build so many memories in this pink bedroom together. Teamson not only makes fun and functional pieces for kids, but they are also designed so beautifully! I love how this dress up unit is so timeless. I’m pretty sure it’s going to be saved forever for the grandkids to enjoy! 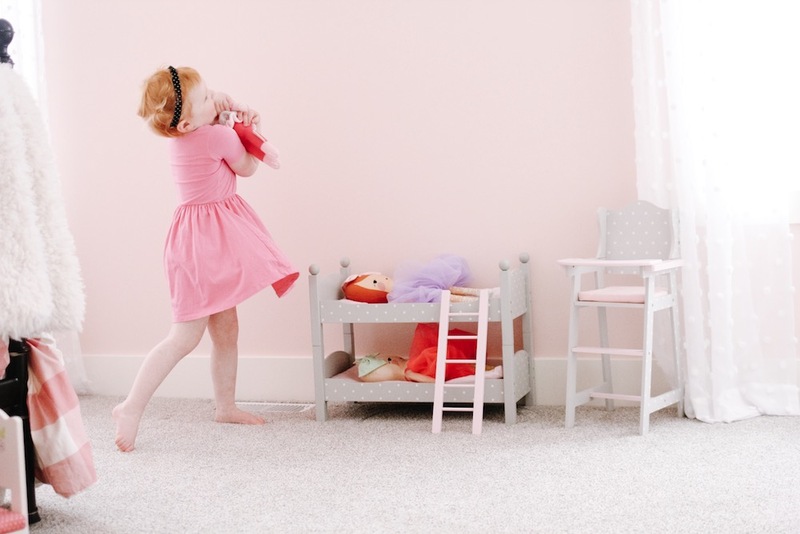 Teamson makes so many pretty play kitchens, vanity sets and dollhouses in a range of styles and themes so parents can find the perfect pieces to complement their child’s unique personality, while also fitting their own personal style. To make Sadie’s room even more amazing and “her” I knew I had to include a special area for her dolls! 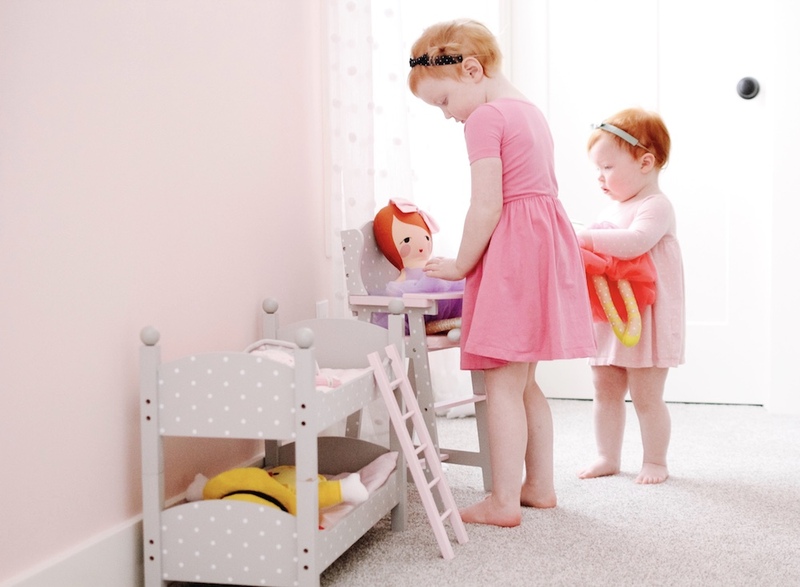 Ever since becoming a big sister, Sadie has LOVED taking care of her baby dolls. So I thought it was about time to upgrade her doll accessories. I found the cutest bunk bed, high chair, and table and chairs for her dollies at Teamson brand Olivia’s Little World! Sadie had to rock each baby to sleep. Melt my heart! 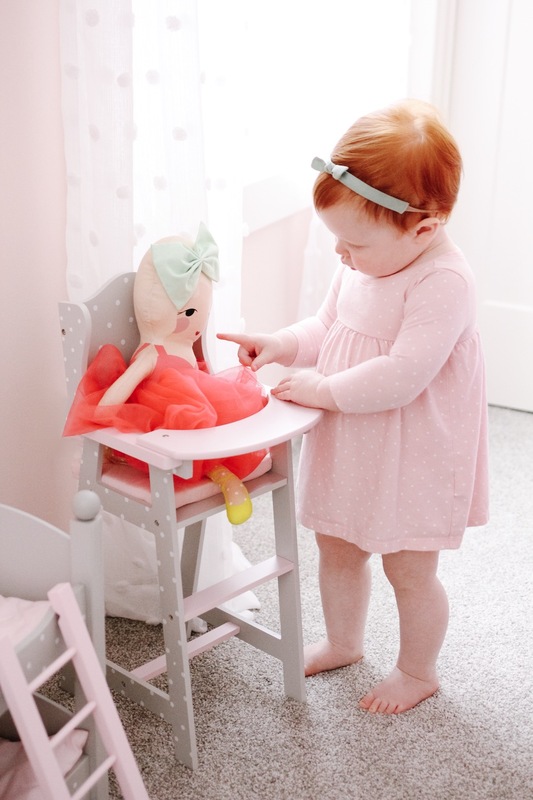 Olivia’s Little World makes the cutest selection of accessories designed for 16”-18” dolls. There are so many adorable designs and selections to choose from. I had the hardest time picking! 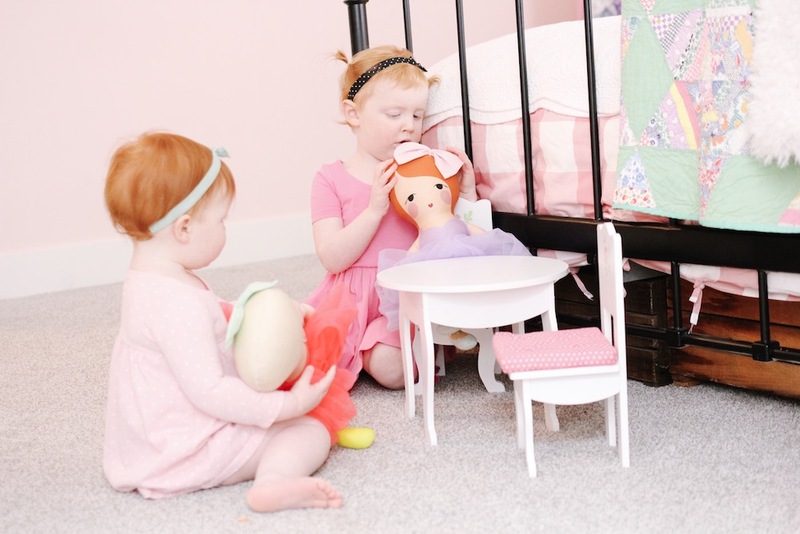 Belle might have been the most excited about this adorable doll furniture. She loves babies even more than big sister. And I’m so glad I captured her feeding her doll in this high chair. Such a little mama already! The girls could play like this for hours. I’m so glad they are making these memories….but they are memories for me too. Growing up I didn’t have a sister to play with, and I always wanted one. It’s so fun to live my dream through these girls. I hope they always love each other and enjoy being with one another. 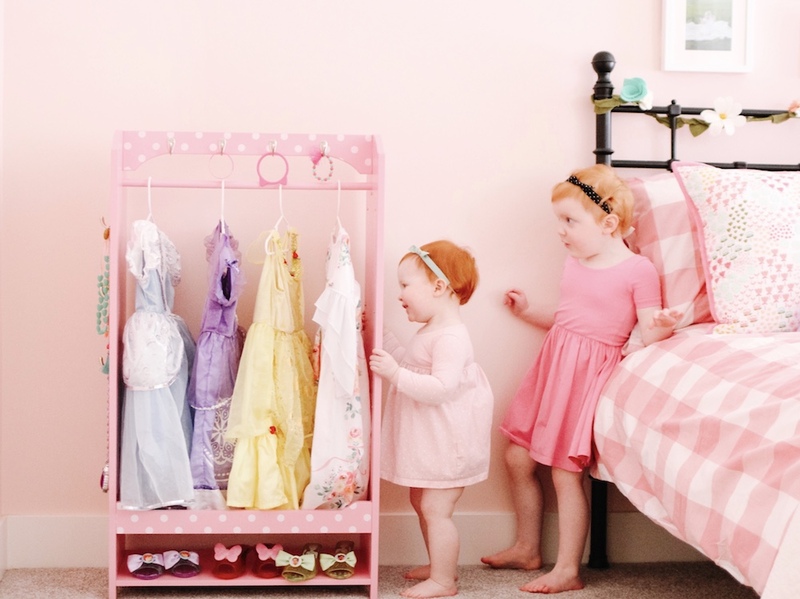 These beautiful doll accessories were designed to last! I love how sturdy they are because my girls can play rough! 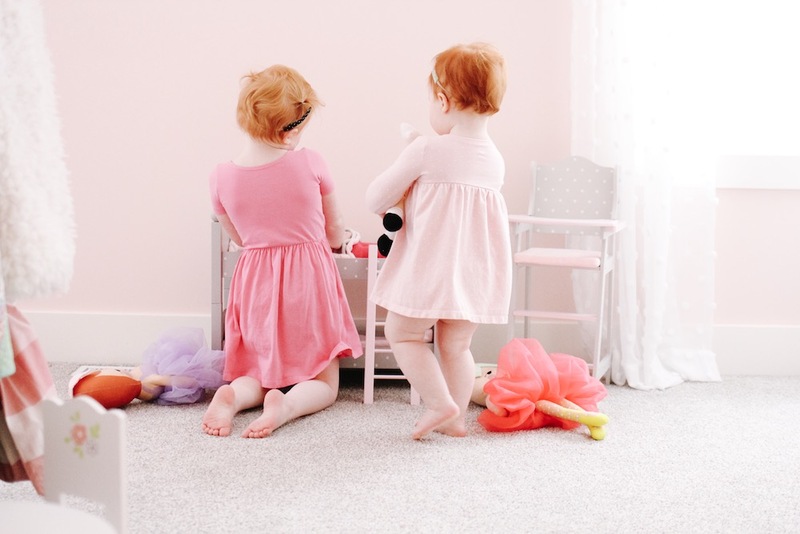 I especially love that the pieces are beautifully styled….so the girls love them and I love that they coordinate so well in our house! Be sure to act fast if you want to score some fun Teamson items for your little one for Christmas! You are in luck because Teamson has just announced a major sale! From now through December 14,2018, select items across all Teamson brands will be on sale with price cuts ranging from 15 to 50 percent! PLUS, my unique 20% off coupon code “TeamsonGITRS20”will be valid to use on ALL items, including those that are being marked down, increasing your savings this holiday season! And, who doesn’t love extra savings? And, as if that isn’t enough, you can get free, fast shipping on all orders of $49 or more! Act now because items are already flying off the shelves! Order by December 14 to ensure you receive your items before Christmas! Right now you can also enter the “Teamson® Win the Workshop” Sweepstakes for a chance to win $3,000 cash and $750 in Teamson® products! 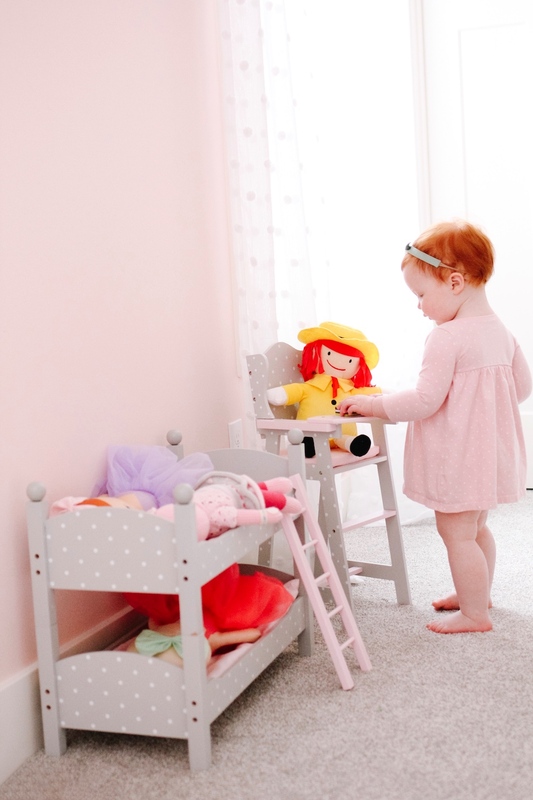 And share your own photos and videos of Teamson products in your home using the hashtag #TeamTeamson and tag the featured brand (@TeamsonKids or @OliviasLittleWorld) for a chance to have your content shared by the brand! Finally, be sure to subscribe to the Teamson e-newsletter for exclusive deals and promotions! This post is sponsored by Teamson, but our love for their brands is all our own! 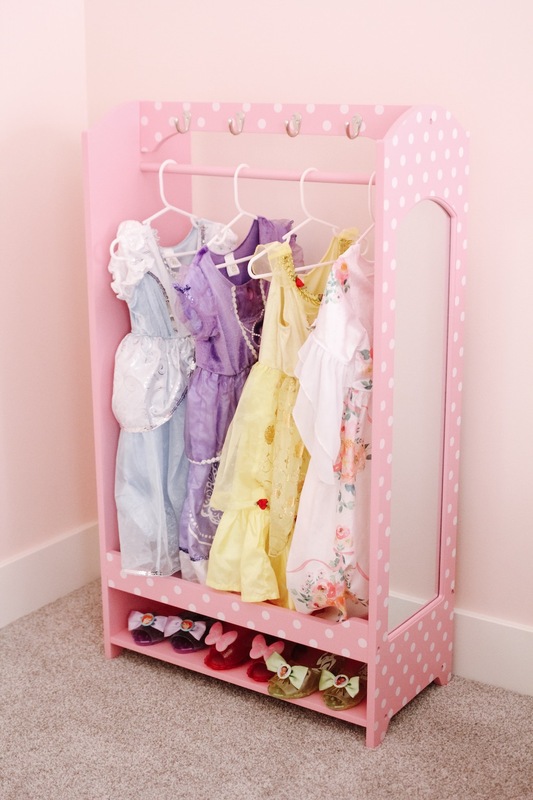 The little dress up closet is so cute! It is a great way to display them. Everything about this room is precious!! 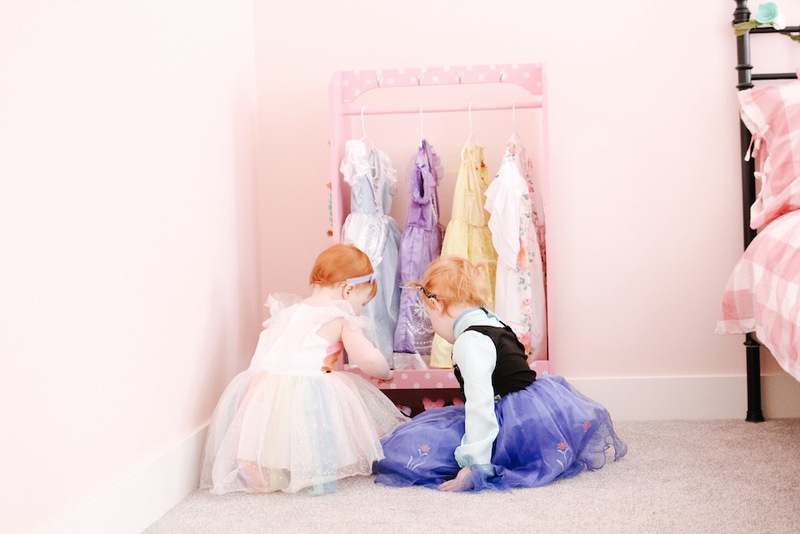 My girls share and I definitely want to make some upgrades and add a dress-up area too!! What a beautiful space! I’m sure she’ll have wonderful memories of her special room.